I hope everyone has had a wonderful Thanksgiving and school/work break. I was lucky enough to enjoy two meals with friends and family. A group of our friends got together to celebrate Thanksgiving a few days early. Everyone was required to bring some sort of food or drink. Peter was in charge of choosing our drink options. Meagan made chocolate peanut butter balls, and the Italian amongst us, Connor, made spaghetti with marinara sauce. I cooked up Gardein turkey cutlets, mashed potatoes with mushroom gravy (recipe to come soon), sage dressing, and apple cranberry crumble for dessert. 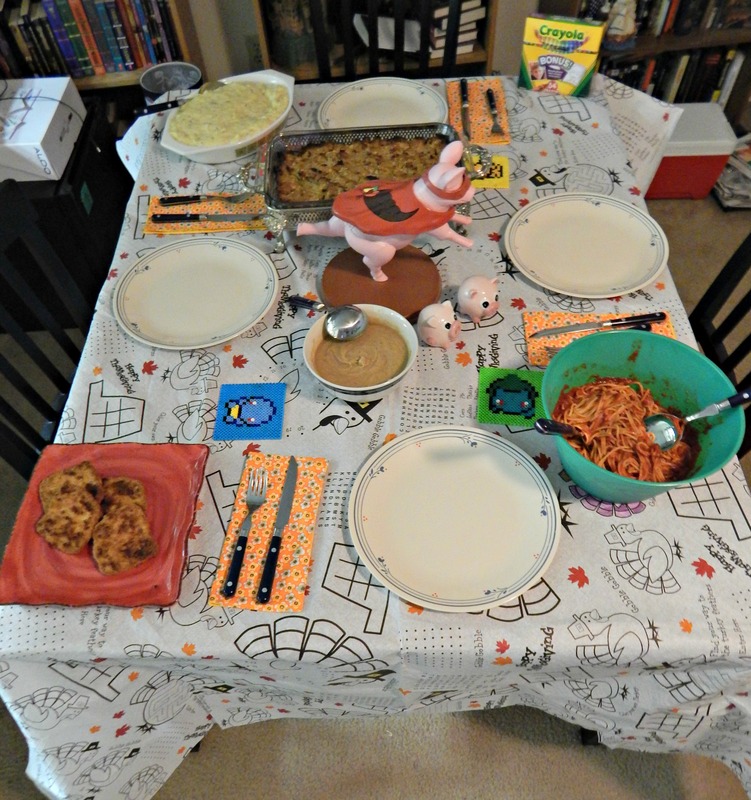 Because we’re adults, the tablecloth was a giant coloring sheet and we had a huge pack of crayons on the table. The day ended with us watching Disney’s Pocahontas and ThanksKilling. On the actual day of Thanksgiving, we celebrated it with Peter’s family. His mom has been experimenting with a vegan diet for a few months to reap the health benefits, so we had a huge vegan spread on the table. I brought green bean casserole and lemon-berry cheesecake. 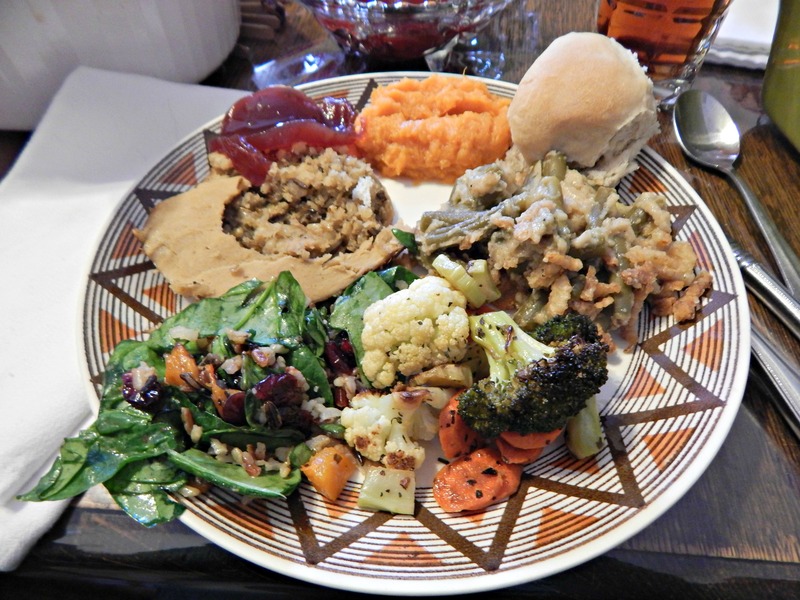 My plate from the feast included tofurkey, cranberry sauce, green bean casserole, wild rice cranberry salad, mashed sweet potatoes, and a roll. I could definitely get used to celebrating food-centered holidays with other vegans.